There’s a problem with most women’s biking jeans. Basically they’re all compromised. And, until now, nobody has produced a jean that works both on and off the bike. 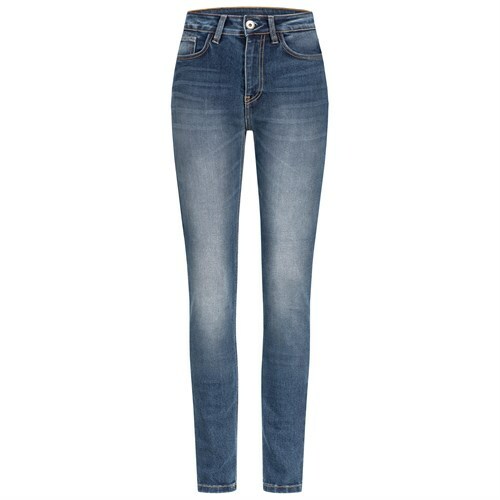 The perfect jean, in our opinion, would be figure hugging, comfortable, stretchy, high waisted and supremely protective. Well, there are some great, tight-fitting jeans out there and, in fact, we sell a few pairs that are. But some of the ladies’ jeans we’ve come across are pretty under-endowed when it comes to protection. Some have a tiny slither of Kevlar or some other aramid weave in the bum. And some have nothing at all, making do with little more than impact protectors in the knees. (This is something you definitely need to check out when you’re buying jeans, by the way, because not everybody is forthcoming when it comes to levels of protection). The problem with most motorcycle jeans is that they derive their protection from a thickish, anti-abrasion lining of some description. They may do the business if you come off the bike, but they add volume to your legs and hips; and nobody likes this. And, to make matters worse, when it’s hot a traditional, lined jean may well cause you to boil over. If they’re not uncomfortable on the bike, they often will be off it. We actually have another problem with most women’s biker jeans, and it’s that they are far too low cut. It infuriates us. You can’t wear a low-waisted jean if you’re on a motorcycle. Even if you’re 19 years old, have no posterior and no hips, when you sit on a bike, the belt line of the jean will sit well below the waist line. Your lower back will be exposed, you’ll get cold, and it won’t be nice if you have an accident. We just don’t understand why designers of motorcycle jeans seem more concerned about how their jeans look on the street than about how they work on the bike. Truth be told, Rokker hasn’t really been any better than the rest of the manufacturers, but they are more open to persuasion than most. Which is why we have been working with them Over the last 12 months to help them make what we consider to be the perfect ladies’ biking jean. Their new ladies’ jean is a single-layer jean made with a material known as Armalith. It is this material that forms the basis of all Rokker’s Rokkertech jeans.This material delivers a slide time that is more than six seconds; and that makes these jeans about 50% stronger than leather. So on the protection front, they’re more than up to the job. Obviously, as there’s no lining, the jeans fit closely without adding bulk, but what makes these particular Rokkertechs so nice to wear is that they are also infused with Elastane for a more hip-hugging, stretchy fit. 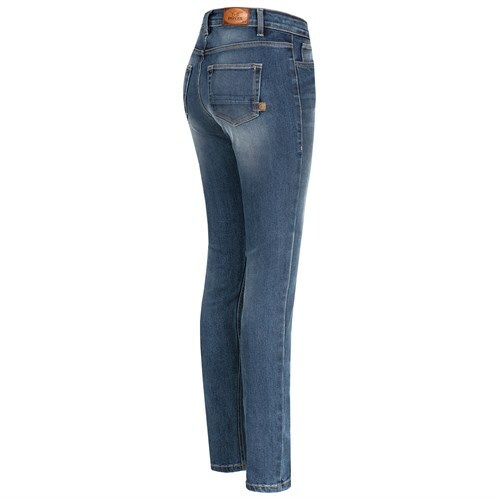 But the final ingredient, the ingredient that really makes these jeans work, is their higher-waisted cut. Higher waisted jeans are back in fashion we are told but, more importantly, they work so much better on the bike. These new jeans don’t come with armour, but they do come with pockets in the hips and knees to take D30. This is, we reckon, the perfect ladies’ motorcycle jean. It is fitted, hip-hugging, elasticated for comfort, high-waisted for the bike, and extremely protective. They are not, we have to admit, cheap. £350 is a lot to pay for a pair of biking jeans. You could pay half that and still get a so-called protective, motorcycle jean. But they wouldn’t be motorcycle jeans like these. They won’t work as well on the bike, and they won’t deliver anywhere near the level of protection the Rokkertechs do.These are simply the best. You’ve got to try them on. 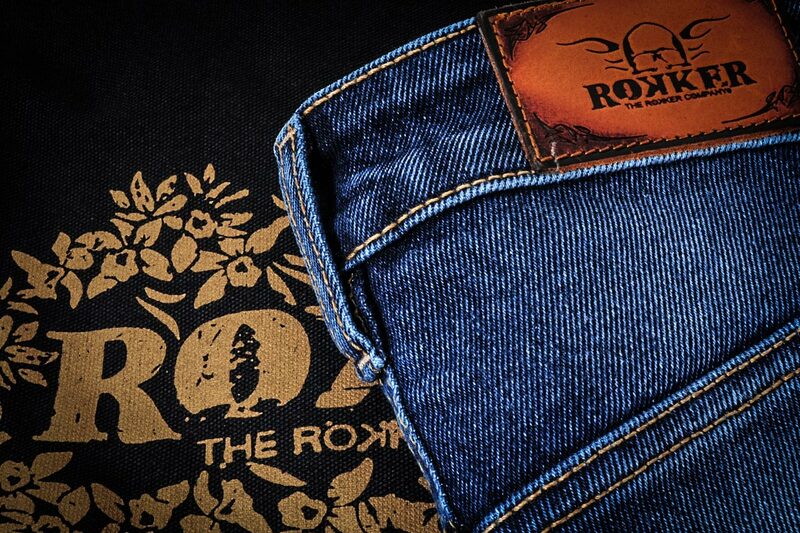 Our current Rokkertech ladies’ jeans are already the best jeans on the market. These new ones, though, are nicer. Much nicer. They come in an impressive array of sizes; from a 24” waist to a 38” waist; and in three leg lengths in all sizes. That’s some 39 different sizes in total, but what we have to tell you is that we will, almost certainly, be the only people in the country to have them all on the shelf. Importantly, if you come to see us in Guildford, we’ll make sure you get the right pair; the pair that fits best on and off the bike. We’ll alter the length, at our cost, if that should prove necessary. We’ll check the position of the armour, if you want to wear it and, again, if we need to move the armour pocket up or down we’ll do so without charge. If you want the very best biking jeans money can buy, you’ve found them. 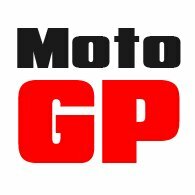 You can order online today, and with free delivery and free returns, there are no risks involved. But if you want to get them right first time, come and visit us in Guildford. Click Rokker Rokkertech High Waist jeans to shop.